I am still trying to have my stomach settled enough to finish watching the rest of Joe Torre's "Larry King Live" appearance, as the self-serving Torre comments I read in the transcript of the show sounded pretty nauseating. But something Torre said at the beginning of the show caught my eye. And he may have opened up an ethical can of worms for co-author Tom Verducci. Well, I guess a little over two years ago, Tom Verducci approached me with an idea. Tom wrote my first book, "Chasing A Dream." And he had the idea let's, you know, do a narrative, which is what this book is. It's a chronicle about my 12 years in New York and, really, the changes that took place in baseball during those 12 years and a lot of the stuff that hasn't been talked about. And, to me, this book is going to sit on shelves. It's going to be a piece of history, because it tells you the changes. It's a piece of something, alright. Here's the problem with Joe's own chronology - he's inadvertently shown that his co-author had a gaping conflict of interest here in writing about Torre in his day job, without revealing his own financial interest with him. Remember that the Verducci-Torre tag team A-Rod smear job "Lonely Yankee" cover story ran in Sports Illustrated a little over two years ago. Sounds like, as I heard somebody online describe it, that article was a trial run for this book, and that the two decided to collaborate on the book around the same time they were collaborating on throwing A-Rod under the bus. I noted in a Squawker blog entry earler this week how Verducci wrote a searing column in Sports Illustrated last fall about the end of the Torre era, entitled "Yanks Have Blood on Their Hands." Among other things, he accused the Yankee brass of letting "corporate cowardice be their guide." The column is a one-sided defense of Torre, and a evisceration of the Yankee front office. And Verducci wrote it at the very same time he was working on a book with Joe Torre! How is that even allowed? Levine questioned Verducci's objectivity because he collaborated on Torre's 1997 autobiography, ''Chasing the Dream.'' ''They had a financial relationship,'' Levine said. Verducci said he didn't regard disclosure of his old Torre book deal as necessary in his first critical article about Levine. Still, at some journalistic outposts, he would have been prohibited from having such a relationship with someone on his beat. Well, the new book project was pretty darn covert, and not a matter of public record at the time. Like I said, Torre's own timeline says that Verducci approached him about a new book a little over two years ago. Yet Verducci was defending Joe in Sports Illustrated and not revealing his own financial interest in spinning the Torre story. I thought it was enough of a conflict of interest for Verducci to have written another column on the Yankee front office, as he did just last month, without noting in the article that he was doing this book. But this latest revelation really takes the cake! When I was on the subway the other day, I heard a young teenage boy discussing Joe Torre's "The Yankee Years" with his mother. The kid called Torre a "snitch." In an appearance on the Michael Kay Show yesterday, David Wells called his old manager "a punk" and threatened to punch him. Is that going to be Torre's legacy now? From Joey Four Rings to Torre the Snitch? Hope he enjoys all that money he's getting from trashing the clubhouse code. Torre co-authored a book that, among many other things, reveals that Rodriguez was known as "A-Fraud" in his own clubhouse. Torre neglected to mention that he would call A-Rod a five-letter word far more degrading than "fraud" before fellow members of the Yankee family. Some leader of men, eh? I have to say, I'm really enjoying reading all the revelations of the real Joe Torre coming out this week. It's so delicious to see the curtain revealed to show what a phony St. Joe really is. Heck, even Mike Mussina, who cooperated with the book, is ripping Joe for violating the code. “As a ballplayer you need to know who you have to watch out for and who you can trust. First and foremost, you should be able to trust your manager. “I mean, people knew that Brown was out there, and that Randy was ornery all the time. And Pavano is whoever he is. But if you’re their manager, you can’t go out and write about them like that." Incidentally, I highly recommend checking out the entire Klapisch column - it's a good read. I don't think Mussina violated the clubhouse code with his own quotes in the book - he just did his usual sardonic and snippy observations - but I do wonder why he cooperated with it at all. Maybe it was to defend the non-rings guys. Michael Kay has been flipping out all week about what Moose said in the book about Mariano Rivera. I think what Mussina was trying to say, in a very inept way, is that if Mo had held on to get the save in 2004, that we would have a very different opinion of those years. But the post-2000 guys are the ones always get the blame for the playoff failures. When asked about what Mussina said, Jeff Nelson said on MLB Network the old adage about how you win as a team, and lose as a team. And he's right. But did Torre believe that? Given the way he's acted over the years, and the way he negatively described every player who wasn't this guy, I don't think so. So much for Joe being able to keep all those egos at bay. A good manager would have never let all the "us vs. them" stuff happen on his own team. But Joe didn't just allow this stuff to go on - he encouraged it, fed off of it, and now has made money writing about it. Classy! Positive signs for Manny Ramirez? After watching tonight's "Mets Hot Stove Report" on SNY, I'm beginning to think the Mets might have a shot at Manny Ramirez. Granted, the commentary on the show from Ken Rosenthal and Adam Rubin continued to stress that it was not likely to happen, particularly if the Mets first signed Oliver Perez, which appears to be their primary goal at this point. But the way SNY covered what was happening outside the studio told a different story. As planned, a group of pro-Manny Met fans held a rally outside the SNY studio while the live Hot Stove show aired. The rally was clearly visible through the studio window, and host Kevin Burkhart had no choice but to acknowledge it. But the SNY show did more than that. Burkhart mentioned the rally several times. SNY went outside to film the fans and air their chants. At this point, SNY had done what might be expected of them - acknowledge what Burkhart called the "800-pound gorilla" - the desire of many fans for the Mets to get Manny. The last segment of the show was an interview with Mike Pelfrey in Kansas, and it would not have been surprising to see the show end there, or to have them return to the studio and quickly sign off with the fans barely visible through the studio window. Instead, as Burkhart was signing off in the soundproof studio, the audio of the chanting fans was turned up. Then SNY again showed shots of the fans from outside, and from multiple angles, as the chanting got louder. Now SNY seemed to be doing more than acknowledging the fans. They seemed to be encouraging them. Yesterday afternoon, Mets' GM Steve Phillips gave Mets fans what they had been longing for - a marquee player. Coincidence? Perhaps. But I'm someone who is actually more concerned with bolstering the pitching with Ollie than with signing Manny, yet by the end of this telecast, I was practically ready to join the next Manny rally. Squawker Lisa warns me that she might stage her own Manny Rally outside the YES studio, completely with a mockup of a Manny Yankee jersey - with number 6. Do the Mets have a better chance of signing Manny Ramirez than they are letting on? Tell us what you think. Was Jeter surprised and/or disturbed by the Torre/Tom Verducci assertion in “The Yankee Years” that Rodriguez has a “Single White Female” obsession with him? Is he suggesting it's Alex's fault that this is all in the headlines again? He's not the one who wrote the book; Torre is. Sorry, Derek, I don't need to wallow through 500 pages to figure out that it was wrong for Torre to write confidential clubhouse tales in his book. And you shouldn't have to, either. Besides, "Mr. T" already had "an opportunity to address it" - he's the one who wrote the book in the first place! Look, I'm not going to suggest that Jeter stand up for A-Rod, because that ship sailed a long, long time ago. But I do think that the captain of the Yankees ought to have an opinion on the other allegations the book makes about Jeter's other teammates. The book says one teammate visited Torre and was near tears discussing Damon, saying, "Let's get rid of him. Guys can't stand him." Damon isn't the only person Joe writes about having emotional or mental problems - Torre does the same about Carl Pavano, Randy Johnson, Chuck Knoblauch, and Kevin Brown, to name a few - but Johnny is the one who is currently Jeter's teammate. 2) If he thinks the standard for getting rid of a player should be whether he's in with the in-crowd. "It was just not an unselfish team. The team wasn't tough enough . . . A lot of those players are more concerned about what it looks like as opposed to getting dirty and just getting it done. Those other teams, they were ferocious." Does Derek agree with these revelations? Given how many times he has said over the years about them not being the same team, I think he does, but I'd like to hear if he agrees that most of his current teammates are "more concerned about what it looks like as opposed to getting dirty and just getting it done." * And finally, Jeter ought to be asked about his own involvement with the book. Was he interviewed for it? Did he provide any of the anonymous quotes in it? And why hasn't he read it yet? What, Joe wouldn't give him a review copy? Sheesh. I think Jeter said all the right things the night Yankee Stadium closed - his speech that night was one for the ages. But it's time for him to open his mouth again and say something substantive about "The Yankee Years." As captain of the Yanks, he doesn't get to sit this one out. What do you think Derek Jeter should do? Leave us a comment. How about a Joe Torre-inspired mascot? Take that, Phillie Phanatic! As Cole Hamels might say, who's the choke artist now? Citifield of Dreams points out that Forbes has named Mr. Met America's Top Sports Mascot, beating out that green thing from Philly. The Mets' family friendly image continues to be strong, a successful differentiation from the corporate, humorless Yankees across town (what mascot could anyone imagine the Yankees employing? Pinstripe--the hedge fund billionaire?). The Yankees need to lighten their image. Joe Torre needs to sell some books. Why not kill two birds with one stone with a mascot based on the former Yankee skipper? Inspired by Phil Allard's NYYFans article, this new breed of mascot will poke fun at players on his own team instead of the opponents. Mascot dresses like Derek Jeter and imitates his every move. Mascot's head automatically turns in opposite direction whenever he sees a player that has gotten suspiciously larger in the offseason. Similar to Joey the Weasel, only with more marketing possibilities since mascot can also promote the blanket with sleeves that keeps turning up in late-night TV ads. Mascot puts his name on a book and is surprised to be criticized by what's in it. Heck, if anything, Torre was even nastier, and more of a phony, than I thought he was. For example, what reason did he have to embarrass Bernie Williams, one of own his favorite players, by writing that Bernie once forgot to take home his child, and his wife at the Stadium at separate times? * He was hailed as being the only manager who could manage all those egos, but he was really was only interested in 'his guys", the ones who he won the rings with. And because of that, the cliques in his clubhouse didn't work well together as a team. * He despised A-Rod with a passion, and took Derek Jeter's side, instead of trying to get the two of them to work together. And he did everything he could - collaborating with Tom Verducci on that 2006 hit piece, batting Alex eighth - to make sure everybody knew how little he thought of A-Rod. * He didn't really seem interested in winning championships anymore, content to be happy with making the playoffs. When he had the four rings, it was all his great leadership, but in the 2000s, he decided that winning in the playoffs was all a crapshoot. * He seem bored with the team, and looked like he was asleep in the dugout each night. He was so lethargic, he couldn't even get up to fight about the bug game. And the team reflected his lethargy. * Joe was completely unwilling to adjust to the changing times, or to look at a stat sheet. Other teams outmaneuvered him, and outmanaged him, in the playoffs. * Torre was obsessed with image, more interested in having he and his team look classy than in fighting tough. He wouldn't let his players brush back opponents anymore, or even bunt on an injured Curt Schillilng. * He was terrible in managing a bullpen, chronically overworking some arms, while underworking others. The Joba Rules were designed by Brian Cashman to protect Torre from himself. * He was more interested in making more money from the Yankees, and managing in the new stadium, than he was in getting the Yankees another world championship. * Heavy steroid usage was going on in his own clubhouse, but he looked the other way. So far, while I haven't gotten to read the book yet, only snippets and excerpts, it sounds like the nothing in "The Yankee Years" contradicts anything I previously thought of Torre. So much for St. Joe. ...The Mitchell Report noted that nine players on the 2000 Yankees were accused of using performance-enhancing drugs: Andy Pettitte, Chuck Knoblauch, Roger Clemens, Jose Canseco, Mike Stanton, Jason Grimsley, David Justice, Glenallen Hill, and Denny Neagle. Many of those players got the PEDs from McNamee, who you hired to be on the Yankee staff. Sure, why not? When the Mitchell Report named nine 2000 Yankees, they became a tainted team. Now, according to their manager's new book, virtually everyone knew what was going on. If I could say for sure that the 2000 Mets were completely clean, I would call that year's World Series tainted as well. But it looks like much of baseball was tainted during that time. Still, the Yankees probably would not have even made the playoffs had they not acquired Justice in midseason from Cleveland. In 2000, the 34-year-old Justice hit 41 homers and drove in 118 runs (combined stats for both teams). But in his 14-year career, Justice hit more than 30 homers and drove in more than 100 runs only two other times. After 2000, Justice's performance fell off drastically. In his last season, only two years later, Justice had 11 homers in 118 games. In an interview with ESPN, Justice denies the allegations of performance-enhancing drug use. And whatever one thinks about his power surge in 2000, it didn't start when Justice was traded to the Yanks - he actually hit more homers for Cleveland that year (21-20) in fewer games. In a telephone interview on Mike and Mike in the Morning on Tuesday, Justice said that in 2000, Brian McNamee told him he could give him HGH to help him recover from a groin injury. McNamee told him it could help him and that it wasn't steroids. He said McNamee brought HGH to his locker, but when he saw it was needles, he couldn't do it. If the HGH were in pill form, Justice said he probably would have taken the HGH that McNamee gave him. Sorry, Joe, but those of us that rooted for the other team in the 2000 World Series do care. Was the Yankees' 2000 championship season tainted? Tell us what you think. It seems in writing his new book, "The Yankee Year," Joe Torre has opened himself up to a whole slew of questions. I've come up with a list of some queries I have for Torre regarding his 12 years in New York. You can read my list at the Perpetual Post site. Click here to go there. The site also features Jon and I arguing about the Yankees/Mets inaugural patches. Click here to read that. And here's another question I'd like to see somebody ask Torre. David Justice said at the time of the Mitchell Report, and again this morning, that in 2000, Brian McNamee left a container of human growth hormone in his locker for him to use, but that Justice claimed he turned him down because he was afraid of needles. Think about that for a second. McNamee, who was on the Yankee payroll at that time as a strength and conditioning coach, was apparently so brazen about peddling PEDs in the Bomber clubhouse, that he could just slip HGH into players' lockers. So where was Joe Torre when all this was happening in his own clubhouse? I hope he's asked about that during his book tour. Good news on two fronts. Not only won't I have to toss my Andy Pettitte t-shirt after all, as Andy is coming back to the Bronx for another year, but I finally have a tracking number for my Snuggie order! I really didn't think the Yanks were going to get him back this year, because I thought that their $10 million offer was too low. Turns out that Andy is getting many milliions less money up front -albeit with incentives that can raise the contract to $12 million. Did Andy Pettitte go to the same negotitating school as Jason Varitek? This is a perfect move for the Yanks,and gives them the best,and most stacked, rotation in baseball. Kudos to Andy for staying in the fold, and to Brian Cashman for re-signing him. are the ones who will be the least affected by it. Girardi - and the one he claims to have tried so hard to help, A-Rod. Yes, I think we have a pretty good idea of what the first questions at spring training will be about. Thanks, Joe! Are you glad Andy Pettitte is back? Tell us about it! Is Joe Torre the real 'Single White Female' when it comes to Alex Rodriguez? It's all Joe Torre, all the time, in the sports media world (and in Subway Squawkers! ), thanks to the revelations about his and Tom Verducci's new book, "The Yankee Years." While co-writer Verducci tried to downplay those newspaper accounts, saying that the book "is not a first-person book by Joe Torre, it's a third-person narrative based on 12 years of knowing the Yankees," it doesn't make the slams and smears in the book any less unseemly. Andrew Morton did the same thing as Verducci with his Monica Lewinsky and Princess Diana books, but it didn't mean that they didn't orchestrate everything that made it into those tomes. Besides, Torre got paid millions for the book, and his name is on the cover. Of course he's responsible for everything that's in the book. Verducci also said that "smart people will judge the book upon actually reading it and not reading preliminary reports prior to its publication." Given that Verducci is peddling a book whose own publisher's materials describe the bug game as happening in September, and not October, I think he's the last person who should be decribing what "smart people" should do. Besides, I don't need to read 500 pages to get the idea that Torre is violating the clubhouse code that he once upheld. All I had to do was read that publisher's description of the book on Amazon.com, where it talks about "the high-priced ace who broke down in tears and refused to go back to the mound in the middle of a game." Despite that allegation, Verducci still claimed that Torre didn't "rip anybody," and that "The Yankee Years" needed to "be read in context." But in exactly what context is this sentence about A-Rod anything but a rip job? I mean, really. You don't even have to like A-Rod to raise your eyebrows about pretty much every part of that sentence, especially given that Roger Clemens, to name just one "ambitious superstar," was a big part of the Torre era. And given that Torre himself is about as image-obsessed as anybody in baseball. And given that ballplayers and strippers go together like peanut butter and jelly - or is Joe insinuating that Alex is the only guy on the Yankees who ever spent time in the champagne room? After reading that, I half-expected the next breathless A-Rod revelation to be something like, "One time, in Detroit, when he thought nobody was looking, Alex used the bathroom and didn't wash his hands afterwards. He was like nothing ever seen before on the championship teams of the Torre Era: an ambitious superstar who didn't understand the importance of good hygiene." Joe's been in this game for 50 years, and he's acting like a hothouse flower over seeing a ballplayer barking orders at a clubhouse flunky. Who does he think he's fooling here? "I said to him, 'Alex, do me a favor, at least go get a cup of coffee by yourself instead of sending someone to get you a cup of coffee.' A little while later, he goes out of his way to find me. He's carrying a cup of coffee. 'Look, Skip,' he said. 'I got my own cup of coffee!' That wasn't even the point. It was just an example. The point was just be one of the guys. He didn't get it." * And while the anecdote is supposed to illustrate how A-Rod just wasn't one of the guys, what comes across in that coffee story is just how much Alex seemed to crave Torre's approval. It's kind of sad and pathetic, actually. Here's the thing. I don't doubt that A-Rod was difficult to manage, and needy, and egotistical, and an attention magnet. Heck, I've been ticked off at him myself for the opting-out drama, and for the Madonna shenanigans. But he also had two MVP seasons for Torre, and as I noted yesterday, the Yanks would have completely missed the playoffs in 2005 and 2007 if it weren't for Alex. And for all the negative things Torre had to say about Rodriguez, he still openly courted A-Rod in the media to join the Dodgers when A-Rod opted out last season. So while the book claims that Alex Rodriguez had a so-called "Single White Female" fixation on teammate Derek Jeter, it looks more like Torre was the one with the fixation - on Alex! Joe Torre talk is in the air everywhere today. On Blog Talk Radio, NY Baseball Digest's host Mike Silva and co-host Howard Megdal will be talking baseball tonight with Full Count Pitch editor Gary Armida. They have also graciously agreed to let me squawk about Joe Torre's book for a few minutes on their their show. Click here to listen to it - it will start at 7 tonight. And thanks again to Howard for featuring us on the new Perpetual Post site. Click here to check that out. In other Saint Joe news, I got quoted in today's Big League Stew column about the book. And not only that, but there was a Snuggie ad next to the article. Yes, the clothing item for people who find blankets way too complicated! You know, I actually broke down and ordered a Snuggie - make that two Snuggies - a few weeks ago. I haven't gotten them yet, but I've told Squawker Jon that we should do our 2009 column photo of us wearing Snuggies at a baseball game, the way they show people in the commercial Snuggie-clad at sporting events. Tell me that wouldn't make a great shot! Anyhow, thanks to Kevin Kaduk of Big League Stew for the mention today, and for featuring us on the site last week. Click here to see Jon and I squawk about Yankees and Mets in the White House! Who is the 'high-priced ace' who cried in the middle of a game? Here, for the first time, Joe Torre and Tom Verducci take us inside the dugout, the clubhouse, and the front office in a revelatory narrative that shows what it really took to keep the Yankees on top of the baseball world. The high-priced ace who broke down in tears and refused to go back to the mound in the middle of a game. Who is the high-priced ace? Carl Pavano would be the obvious choice here, although he wasn't really an ace. But maybe it's not him. Could it be...Randy Johnson? Here's the other thing about this revelation. Even Torre fans would concede that he was never a great strategic manager. But his skills were supposed to be in dealing with people, balancing egos, and all that jazz. So how do you think that pitcher feels today, knowing that Torre sold him out in order to sell books? Not exactly what we should expect from Mr. Class. Constant meddling from Yankee executives, many of whom were jealous of Torre’s popularity. But even if all these allegations are true, what does it say about Joe that he was still willing to take their money until the Yanks gave him that so-called insulting one-year, $5 million contract extension (which, incidentally, was still more than he is now making with the Dodgers?) And if the Yanks had cowed under and given him that second year, that Torre would still be the manager today? It's like how Joe trashed A-Rod, yet still publicly said he wanted him to be a Dodger when Torre went over there. If A-Rod is A-Fraud, then what does that make Torre? The tension that developed between the old guard and the free agents brought in by management. The impact of revenue-sharing and new scouting techniques, which allowed other teams to challenge the Yankees’ dominance. And, if the way A-Rod was treated is any evidence, that tension was aggravated, not calmed, by Torre. The players who couldn’t resist the after-hours temptations of the Big Apple. The joys of managing Derek Jeter and Mariano Rivera, and the challenges of managing Alex Rodriguez and Jason Giambi. Wonder what Dodger players are thinking now? Are they worrying that they will be a part of Torre's next tell-all book? And I think there are dozens of managers out there, like those for teams in places like Kansas City and Pittsburgh, who would have loved to have had the "challenges" of managing All-Star players like A-Rod and Giambi. True, Jason was a juicer, but so was Torre favorite Roger Clemens. And don't forget these other players from Torre's tenure as Yankees manager who also made it into the Mitchell Report: Chuck Knoblauch, Andy Pettitte, Gary Sheffield, Kevin Brown, David Justice, Jose Canseco, Mike Stanton, Jason Grimsley, Glenallen Hill, Denny Neagle, Ron Villone,Daniel Naulty, and Darren Holmes. Of course, some of them weren't exactly keys to the dynasty, but a bunch were. What did Torre know about their steroid use? Granted, due to the nature of the sources for the Mitchell Report, the Yanks are overrepresented, but still. As Squawker reader Jonmouk71 writes, "Please Pope Josephus, 'stand-up' and tell us what you knew about steroid use in the Yankee clubhouse if you want us to respect or even listen to you." I will be curious to see if he talks about this subject at all in the book. Torre’s last year, when constant ultimatums from the front office, devastating injuries, and a freak cloud of bugs on a warm September night in Cleveland forced him from a job he loved. You have to wonder about the "facts" in a book that can't even get the month for a baseball playoff game correct. And didn't Torre himself say in his farewell press conference that he should have gone to the mound during the Joba bug game? That was pretty much the only mea culpa he made that day about his entire tenure as a Yankee. Is he now backtracking on that one admission of ineptitude? For all of Torre's histrionics about being insulted by the Yankees' contract offer, remember this: As Suzyn Waldman tearily reported on WCBS Radio the night that the Yankees lost to Cleveland, Torre and his coaches all acted as if it were his very last game. Yet within a week, he not only thought that he deserved a new contract, he thought he was entitled to a multi-year deal. And because the Yanks wouldn't go along with his demands, he's gotten his revenge with this tell-all book. As one of our readers noted, I don't think the Yanks will be retiring No. 6 any time soon. Squawker Jon and I were just talking on the phone about "The Yankee Years," Joe Torre's tell-all book, and trying to figure out why, other than money, that Joe would taint his once-classy legacy by writing it. As Jon noted, this year Torre made it to the playoffs with the Dodgers, while his old team languished in third place, so Joe was a shining example of the old adage about living well being the best revenge. Plus, Torre came out smelling like a rose, while the Yankee ownership looked petty, when they left him out of the Yankee Stadium Final Game extravaganza. Heck, even I criticized the Yanks for taking such pains not to mention him at the event. But now Joe no longer seems classy. This type of name-calling book is something we would expect out of a long-retired manager or somebody bitter about not being in the game anymore, like Jose Canseco. But Torre is still the highest-paid manager in baseball, still gets tons of endorsement deals, and is still widely respected by many. Why he would be so petty in this new book is beyond either of us. Torre slams a variety of targets in the book. I've already written today about what he said about Alex Rodriguez. Now I'd like to delve into his comments on Brian Cashman and the press. Cashman never told the brass that the manager wanted a two-year deal and instead remained silent during Torre's tense final sitdown with the bosses. I'm in the strange position of defending Brian Cashman here, even though longtime Squawker readers know I wish he were no longer Yankees GM! "I think Brian Cashman wanted me back. We have a close relationship," Torre said. "We worked hard to get this thing straightened out this year." Here's the thing. Do I think that Cashman thought it was better that Joe be pushed out than himself? That sounds plausible to me, kind of like how Joe was okay with Yankee management forcing out coaches, like Don Zimmer and Mel Stottlemyre, rather than him losing his own job. But, like Mariano Rivera says, that's baseball. Torre felt that if he didn't get a multiyear deal, the intense media scrutiny would continue. I guess I missed when that "intense media scrutiny" of Torre started. Was it when the New York press applauded and gave him a standing ovation at that October 2007 post-Yankee press conference? Sheesh. I'll continue to have more to say about Joe Torre's book, including his revelations about Yankee ownership. But in the meantime, what do you think? Ever hear that old baseball adage about how "what happens in the clubhouse stays in the clubhouse"? Apparently Joe Torre hasn't, or he's pretending he hasn't. Because he, along with Sports Illustrated columnist Tom Verducci, have written a tell-all book about Teflon Torre's time with the Yankees, called "The Yankee Years." And the New York Post has the scoop on the book. Torre gets most personal in his attacks against Alex Rodriguez, who he says was called "A-Fraud" by his teammates after he developed a "Single White Female"-like obsession with team captain Derek Jeter and asked for a personal clubhouse assistant to run errands for him. Torre spent years trying to bring out a winning performance from A-Rod, the highest-paid player in baseball, which from all reported accounts included a lot of hand-holding and battling the insecurities and demons Rodriguez struggles with. Remember how Torre called out Michael Kay for gossiping about the team in 1996, saying he didn't need Kay to be the Rona Barrett of the Yankee clubhouse? Looks like Torre was the real Rona Barrett of the Yankee clubhouse! And while A-Rod may be paranoid, Torre was indeed out to get him all along. Between the lukewarm comments to the press all along about him, to the Tom Verducci-written "Lonely Yankee" hit job in Sports Illustrated in the fall of 2006, to batting him eighth in the playoffs to take the heat off Torre, Joe treated A-Rod pretty badly. Don't forget how that Verducci-written SI article talked about a one-on-one closed-door meeting with Torre and Rodriguez, where Alex nervously twirled his wedding ring? That tidbit came from Torre, who was violating clubhouse confidentiality even then. So while it's clear Alex is a high-maintenance player who brings a lot of drama - as well as talent - to the team, I would take any anti-A-Rod stuff Torre writes with a grain - no, make that a shaker - of salt. True, A-Rod has had some awful moments in the playoffs (as has Torre, of course, although Joe does have those wonderful four rings, too), but the Yankees would not have even made the playoffs in 2005 and 2007 without Alex having MVP seasons those years. Kind of like how Torre's Dodgers wouldn't have made the playoffs this year without Manny Ramirez having two MVP-like months with the team. And how does Torre repay A-Rod for those phenomenal seasons? He trashes him to sell books. Classy! Come to think of it, Manny had better watch his back. Because I'm guessing that the high-maintenance superstar will be negatively featured in Torre's inevitable sequel, "The Dodger Years." Besides, given that Torre had his clubhouse attendant make him his green tea every day (iced green tea in the summer, of course), it's rather rich for Joe to criticize Alex for having a clubhouse attendant do personal chores. And how about Verducci writing this book with Torre, at the same time he was slamming the Yankees and defending Torre in his Sports Illustrated day job? Nice work if you can get it, eh? You may remember that back in the fall of 2007, the Yankees' Randy Levine called out Verducci for a conflict of interest in saying that the Yankees'ownership had blood on their hands for the way they treated Joe. Levine noted that Verducci had previously collaborated with Torre on a book, something that wasn't mentioned in the SI article. Verducci rather huffily told the New York Times he didn't think it was a big deal that he didn't mention the book, saying that ''it's 10 years ago and clearly a matter of public record." Less than three weeks later, Doubleday announced that Torre was writing a book, with - surprise - Verducci as his ghostwriter. Yet Sports Illustrated continued to let Verducci write about the Yanks - including critiquing Yankee ownership just last month, as well as doing a cover story about the old stadium where he wrote the article as if he were literally the voice of Yankee Stadium. And there were no disclaimers about his new book project included with the articles. Heck, there's not even a mention of either book Verducci wrote with Torre on the columnist's official SI bio. Ridiculous. I will have more to say later today, and in the future, about the book, including the way Joe slams Brian Cashman and Yankee ownership. But in the meantime, I'd like to ask our readers what they think about the book. Leave us a comment! The Yankees' front office started moving to their new digs yesterday. Check out Peter Abraham's story - and video - of it at lohud.com. Squawker colleague Bob Ekstrom writes on the Boston Sports Media web site that Jason Varitek "went Donovan McNabb on the Nation and, given his considerable baseball acumen, it’s not working on me." To wit, Varitek, who turned down the Sox's arbitration offer and is still unsigned, now claims that he didn't know that other teams would have to give up a first round draft pick in order to sign him. Sheesh. SI.com's Jon Heyman wonders "who would make a better dinner companion" - Jeff Kent or Barry Bonds - and says that he would "take Bonds any day of the week." I agree with Heyman - once in a while, Bonds can be charming. I don't think Kent has ever been charming. Excuse me for not saying nice things about a guy just because he retired, but when I see a Hall of Famer walking down the street, I'm usually taken aback by somebody who's larger than life. When I see Jeff Kent walk down the street I wonder if my car will be ready at the shop. The good news just keeps on coming for Mets fans. Their team may be passing on signing Manny Ramirez, but former Mets Tom Glavine, Braden Looper, Paul LoDuca, Kenny Rogers, Jason Isringhausen, Doug Mientkiewicz, Ty Wigginton, and Cliff Floyd are still available, according to MLB's free agent tracker. Which means that maybe the Mets can reunite with these old friends. I'm sure Squawker Jon is salivating over the possibility of Glavine being a Met again! Yahoo's Big League Stew site notes that Jim Leyritz will be signing autographs at the Yanks for the Memories event in Secaucus this weekend. Yikes! The Dodgers fan site Vin Scully Is My Homeboy is the blog that first wrote about that outrage. They also have an early 90s pic of Darryl Strawberry and Gary Carter in Dodgers uniforms. Click here to see that. Newsday's Mets beat writer David Lennon will be hosting the BBWAA Awards dinner this Sunday, where the nation's - and the city's - baseball writers give out a slew of MLB awards, including the MVPs and Cy Young awards. The tickets, at $225 a person, are too rich for us Squawkers to afford, but it sounds like a great time. Bernie Williams will sing "Take Me Out to the Ballgame" and Cole Hamels will get his World Series MVP award (I'd love to see Squawker Jon have to sit through Hamels getting that hardware!) For more info, click here. Are Mets just being Mets when it comes to Manny Ramirez? Squawker Lisa, I would love to see the Mets go for it this year and sign Manny Ramirez. Just as I loved seeing the Mets go for it with Roberto Alomar in 2002 and Pedro Martinez in 2005. And my most exciting moment as a Jet fan in recent years came when the Jets traded for Brett Favre. The fact is that there is no guarantee with an older player, especially one with baggage. If the choice is going for Manny or doing nothing, then of course the Mets should go for Manny. But pairing Manny with Carlos Delgado in the heart of the lineup means that the Mets' top two power hitters will be turning 37 this year, making the Mets a win-now team. And even with a healthy, happy and productive Manny (and there is no guarantee of any of those), there is also no guarantee that the Mets will win the World Series in 2009. And the Mets with Manny had better win in 2009, because there is a much greater chance that in 2010, Manny's contract will become an albatross for one reason or another. And with Carlos Delgado probably gone by then, the Mets will desperately need a slugger in the middle of their lineup and won't have the money to get one. A-Rod was 24 when the Mets passed on him. Vladimir Guerrero was 28. The Mets really blew it by passing on those young superstars. Fortunately, they learned their lesson when Carlos Beltran and Johan Santana, both under 30, were available. The Mets were sitting on the $12 million they saved by letting Tom Glavine go until February of last year, when they signed Santana to a far bigger contract. Maybe this February will bring another pleasant surprise. If someone is really willing to give Boras and Ollie $60 million for five years, suddenly $45 million for Manny is a cheaper contract, even if it is only for two years. Imagine, signing Manny to save money! The Mets were willing to spend $12 million next year on Derek Lowe, so as long as they take that money and upgrade the team in another way, I can't complain. Should the Mets offer Manny Ramirez a contract? Tell us what you think. Why are the Mets passing on Manny Ramirez? While the Yankees' front office may be moving today, there are plenty of free agents out there who haven't moved to a new team. And Manny Ramirez, of course, is the biggest name. "I know what (Ramirez) has done on the field, and that's impressive," Wright said. "When you can single-handedly take a team and carry it into the postseason, and then once you get into the postseason the numbers speak for themselves, that's impressive. "I would be on board with Manny 100 percent, assuming that he comes in and puts the team first and wants to be part of this thing and wants to win." And this, Squawker Jon, is why your Mets will always play second fiddle to the Yanks. Omar Minaya has openly coveted Manny Ramirez for years. And now that he's available, all of a sudden Omar's not interested? What, Fernando Tatis was just too good to take out of left field for Manny? Gimme a break. Jon, you can criticize the Yankees for overspending, but at least they're willing to do what it takes to assemble the best team. Both teams have shiny new ballparks, and cable networks, yet while the Yanks signed three top free agents this year, your team is picking up the likes of Alex Cora, Tim Redding and Freddy Garcia, and passing on Derek Lowe. In fact, the only big-name free agent the Mets have picked up was Francisco Rodriguez, and that was back in early December, before the Bernie Madoff scandal broke. (The J.J. Putz trade was before Madoff as well.) Heck, your team hasn't even re-signed Oliver Perez. So how much money, exactly, did the Wilpons lose with Madoff? No wonder they're hanging on to that CitiField sponsorship for dear life! Where do you think Manny Ramirez will end up? Leave us a comment! Newsday's Neil Best reports that Steve Phillips is joining ESPN's Sunday Night Baseball broadcast booth. As if Jon Miller and Joe Morgan weren't insufferable enough. Good grief. Talk about torturous. It wasn't enough to have to hear Joe Morgan blathering on against Moneyball, and reminiscing about the Big Red Machine, each Sunday night broadcast. It wasn't enough to have to put up with Jon Miller screaming "The Splitter!" every five minutes and overly enunciating Carlos Beltran's last name as "Bell-TRON." Now we're going to be "treated" to Steve Phillips blathering in the Sunday night broadcast booth. In this bad economy, the fact that Phillips not just has a good job, but just got a promotion, is an outrage. As Squawker Jon would undoubtedly agree, Phillips was a lousy Mets general manager whose shining accomplishment was trading for Mo Vaughn. And he's just as "good" a broadcaster as he was a GM, which is to say, he's the worst. Has anybody ever turned on ESPN specifically to hear Phillips blather on baseball? I don't think so. Remember, this is a guy who announced in the summer of 2006, after Alex Rodriguez had a three-error game, that A-Rod's career would never recover, and that the Yanks should trade him while they still could get something for him. Too bad for Steve that Alex only went on to have the best Yankee season since Mickey Mantle the following year. Maybe Phillips was still trying to justify him passing on A-Rod (remember the whole 24 and 1 brouhaha?) when Phillips was the Mets GM. But it was still pretty ridiculous. The Yankees, of course, are frequently on ESPN's Sunday night baseball, between Yanks-Red Sox and Subway Series games. And I wish I could just mute the sound and put Sterling and Suzyn's radio broadcast on. But the problem is that thanks to the seven-second or so delay on ESPN's so-called "live" baseball broadcast, the game ends up being out of sync. There needs to be a solution for this. You know how you can hit the SAP button to get the Spanish-language broadcast? Why can't ESPN offer an NAB button - for Non-Annoying Broadcast, and have people in the booth who don't get on fans' last nerves? Heck, I'd rather even hear the gruesome twosome of FOX's Tim McCarver and Joe Buck to ESPN's terrible new trio, and that's saying something. Please, make it stop! What do you think about Steve Phillips? Tell us about it! The Mets have never had a position player go into the Hall of Fame wearing a Mets cap. At least an argument could have been made for Gary Carter. And Mike Piazza's candidacy is yet to come. But Jeff Kent's retirement means that in a few years, Nolan Ryan is likely to have company as a future Hall of Famer the Mets gave up on too soon. He's had one of the more remarkable careers of this -- or any -- generation. Through age 28, he had 78 home runs, 583 hits, 318 RBIs and a career average of .278. The odds of a player with that profile becoming a Hall of Famer would have been somewhere well short of 1 percent. What could have happened to Kent at age 28 that started him on his Hall of Fame path? Naturally, that was the year the Mets traded Kent away. On July 29, 1996, the Mets sent Kent to Cleveland. Unlike Ryan, at least Kent didn't immediate become a star with his new team. After the 1996 season, the Indians traded Kent to San Francisco, where his career took off. But trading away Kent seems to have put a curse on second base for the Mets. In return for Kent, the Mets got back second baseman Carlos Baerga, who was 27 and had been an All-Star three times. But Baerga hit .193 the rest of the season with the Mets and his career went in the opposite direction as Kent. In 2002, the Mets traded for another Cleveland second baseman, Roberto Alomar, who had finished fourth in MVP voting the previous year. During his brief time with the Mets, it's safe to say Alomar didn't get any MVP votes. In 2004, the Mets signed Kaz Matsui, who contributed to the Mets' second-base curse in two ways. First Matsui's signing resulted in the dubious move of Jose Reyes to second. Then Matsui took over second base himself, and eventually the Mets had to eat his contract. The Mets' latest big-name second base acquisition is Luis Castillo, and we know all too well how that has turned out. Whether or not the Mets finally bite the bullet on Castillo, the second-base curse is likely to continue a year from now, since Rob Neyer predicts that the most likely player to make the Hall of Fame in 2010 is Alomar. Squawkers in Big League Stew! Hail to the Met? Yankee-in-Chief? To commemorate the inauguration, Big League Stew, a Yahoo! sports blog, asked the Subway Squawkers to imagine if a Met or Yankee became president. Check it out at http://sports.yahoo.com/mlb/blog/big_league_stew/post/Subway-Squawking-Mets-or-Yankees-in-the-White-H?urn=mlb,135884 and tell us what you think. And thanks to Big League Stew editor Kevin Kaduk for giving us a chance to squawk on his site. It's about witnessing history. It's everywhere, and on every channel. It's all anybody is talking about. And it's a big moment for the world. Yes, the announcement that Sal Fasano made Italy's roster for the World Baseball Classic is a super-huge deal. Seriously, I was going to write something about how Inauguration Day is like Opening Day. While they're both times of hope and new beginnings, it's very hard to get tickets. And they're often held in bitterly cold temperatures. A fresh start makes everything seem more manageable. So what if the Yankees signed Mark Teixeira and CC Sabathia, and North Korea has weapons-grade plutonium? We'll deal with it. Anyhow, MLB.com has a whole special section on president-elect - and huge Chicago White Sox fan - Barack Obama, and they're streaming the inaugural live. There are several former Yankees attending today's events, including Dave Winfield and LaTroy Hawkins. But will Obama be the most memorable No. 44 of all time? Given that Hank Aaron and Reggie Jackson wore that number, he faces some stiff competition! We're doing something a little different this morning. The Perpetual Post, a Web site started by New York Observer writer Howard Megdal, invited us to debate the merits of the Yankee and Met stadium patches. Yes, Squawker Jon actually defended that chintzy Citi Field patch. Check it out at http://perpetualpost.com/b/?p=319 and tell us what you think! What's the oldest Yankee t-shirt in your closet? I have a grey "Property of the New York Yankees" t-shirt from 1983. And if I hadn't purged my dresser drawers a few years ago, I would have had some Yankee clothing from the 1970s! Is it just me, or, is it hard to throw out Yankees shirts - no matter how aged, ratty, faded or out-of-size they may be? There’s just something, at least me, about Yankee fan gear where it just doesn’t seem right to let it hit the trash. Don’t get me wrong, I’m not saying that Yankees T-shirts are right up there with the American Flag or something. But, I dunno…I almost feel like me, we, us…you know, Yankees fans…should hang on to these puppies even if they no longer serve the attire purpose they were meant to fill. No, Steve, it's not just you. I'm still kicking myself for getting rid of my Dave Righetti no-hitter shirt! For me, getting rid of Yankee items is like getting rid of books - sometimes it must be done, but it still pains me to do so. And much like I have to find a good home for my unwanted books, and won't just throw them in the recycle bin, I have to find a home - even if it's just the Salvation Army - for my old Yankee t-shirts. The only Yankee clothing item I had no problem throwing out was my Andy Pettitte shirt. After he left the Yanks the first time and became dead to me, I easily threw out my No. 46 t-shirt. When he signed with the Bombers again and became un-dead to me, I had to go buy a new shirt. Now that blue Pettitte No. 46 shirt is waiting in the wings of my dresser drawer, not sure if it will be obsolete yet again. C'mon, Cashman, bring Andy back, and give my t-shirt a reprieve! What is the oldest Yankee t-shirt you own? Tell us about it! Just read on Bronx Banter that Yankees for Justice blogger, and Bronx Banter contributor, Todd Drew has died of cancer. He was only 41 years old. My heart goes out to his wife and family. I didn't know Todd personally, but I kind of felt like I did a little, just from reading his passionate blog entries about the Yankees, and about the city. These Yankee ticket prices are insane! With the granite ramps, the steakhouse, and the martini bar at the new Yankee Stadium, the Bombers have targeted the new park at people who make a heck of a lot more money than most of us fans do. But a funny thing happened on the way to completing the new forum. Not only have the Yankees had cost overruns on the new park, and are now asking the city for more tax-free bonds to complete construction, but even the team's prime target market these days - rich people - aren't snapping up spots at the new stadium as quickly as expected. Some of the new stadium's luxury boxes and premium seats are still unsold - 7 out of 59 suites, and 1,000 out of 4,000 seats, according to the Yankees. So the Bombers have hired real estate firm Prudential Douglas Elliman to sell the stadium's "real estate." "In this economic time, people are still looking for things to take their children or grandchildren to." Let's do the math here. At those prices - $350 a seat - going to just one game with four people will cost $1400. A 20-game plan will cost $28,000 for a family of four. Exactly what family does Sroka think these sort of numbers are "obtainable" for - Brangelina's? And keep in mind and these are the so-called cheapest prices for the premium seats - they go up to $2,000 a game. What a deal! I'm also wondering if there are even fewer premium seats and suites sold than the Yanks are owning up to. Remember, Yankee chief operating officer Lonn Trost told the Associated Press back in November that there were seven luxury suites available then. He said in August that there were only 800 premium seats available. Yet as of today, there are 1,000 premium seats available - 200 more than previously mentioned, and there are still those seven unsold suites. Very interesting. Maybe it's because that even for luxury items, these ticket prices are insane. To put the cost in perpective, you can have the Omakase at Masa for $400 a person, or the Chef's Tasting Menu at Thomas Keller's restaurant Per Se for "only" $275 a person (gratuity included.) Heck, even the exclusive Four Seasons restaurant is now doing a $59, three-course prix fixe meal. As for Broadway prices, while Jersey Boys has premium seats at $350, most shows' best seats are a lot cheaper than that. And here's the flaw in the Yankees' thinking on these seats. If you spent that sort of money on one of the legendary meals I listed, or at a hot Broadway show, you might have something to talk about for years. But are the teak armrests, concierge service, and great views really worth sending $350 to $2,000 a person to see, say, a Yankees-Mariners game? Or is it even worth it for Yankees-Mets or Yankees-Red Sox? I don't think so. So much for sticking to a budget - I just saw on Metsblog.com that, according to the Times, the Mets are signing a Scott Boras client who is an infielder named Alex! Oh, wait, it's not that Alex - it's Alex Cora, whose $2M salary will add up to about one of A-Rod's paychecks. But that raises a question - how is this guy one of Boras' clients in the first place? Doesn't Boras have an eight-figure buy-in or something like that? Isn't this like spam sneaking onto the menu at Peter Luger? Boras is known for creating elaborate books to promote his clients. Surely Cora doesn't have a book. He'd be lucky to get a Post-It. I dimly remember an old TV commercial with a character named Cora. I thought it might be Nancy Walker and paper towels, but after a Web search I discovered it was Margaret Hamilton selling Maxwell House Coffee. Hamilton is best known as the Wicked Witch of the West in the Wizard of Oz, and since Boras is kind of the Wicked Witch of Baseball, maybe he has a soft spot for the name Cora. Or maybe Boras gives out players like Cora as consolation prizes: "I'm so sorry, you're not getting Derek Lowe. But just so you don't go away empty-handed, here's a copy of our home game, as well as backup shortstop Alex Cora!" According to Wikipedia, Boras has other clients that are more A-Cor than A-Rod. In fact, a couple of these played for the Mets recently, and the track record is not so good. Let's hope Cora pans out better than Scott Schoeneweis or David Newhan. And let's hope signing Cora somehow helps the Mets land Oliver Perez. I am sorry the Mets didn't get Derek Lowe, and sorry that the Braves did. But four years and $60 million is a lot to pay for a pitcher who is good, not great, and will be 39 at the end of his contract. The Mets have spent the last two years paying Pedro Martinez $13M a year and getting nothing in return. Next year, Billy Wagner gets $10M to rehab his arm. But when Wagner and Pedro signed their contracts there was the potential for them to perform at star levels as long as they were healthy. Lowe has been solid, but isn't likely to be having any breakout seasons at his age. Let's hope nobody else makes a play for Oliver Perez, so the Mets can get him back at a fairly reasonable price. Whatever you may think of Ollie, if the Mets don't get him, they are going to go into 2009 with a suspect rotation. If Omar Minaya is really planning to turn to the likes of Randy Wolf, he'd better bring along Cardinals' pitching coach Dave Duncan, who has worked miracles with reclamation projects like Jeff Weaver. Wolf has been with four teams in four seasons, and with good reason. Along with his varied injuries, he has had an ERA under 4.23 once in the last six years. If the Mets end up going with the likes of Wolf, they'd better use the money they'd be saving on pitching on a corner outfielder that can hit. Squawker Lisa, thanks for pointing out that Mo Vaughn got six votes for the Hall of Fame. Other ex-Mets who got votes included the actual Hall of Famer Rickey Henderson (though somehow I doubt he'll go in wearing a Met cap) and Jesse Orosco, who got one vote. Along with Vaughn, David Cone got 21 votes while Jay Bell got 2 votes. All three appeared on the 2003 Mets, along with three players who actually can expect to be in the Hall someday: Mike Piazza, Tom Glavine and Roberto Alomar. But Fame was quite fleeting for this Met team - they finished 66-95. If the Mets give out another good-sized contract, would you rather see it go to Oliver Perez or to an outfielder like Adam Dunn or Bobby Abreu? Tell us what you think. Just a quick note about Rickey Henderson and Jim Rice, MLB's brand-new Hall of Fame picks. Henderson was a first-year pick, while Rice got chosen in his last year of eligibility. The writers did a great job with both choices. For once, I was right - I did write last month that Rice would finally make it into the Hall of Fame this year. Not exactly the prediction of the year, but I'll take it! I also wrote that Rickey would make it in the first time around, but being right on that is like predicting that Alex Rodriguez will make some headlines this year. Jim Rice was a fierce competitor, and a big part of the Rivalry. My favorite Rice moment happened at 1985 in Yankee Stadium. Some knuckleheaded Yankee fan stole Rice's cap, and he went into the bleachers to look for the guy. Classic - the fan had it coming! And Henderson, of all people, holds the Yankees' all-time steals record. He, Rice, and Yankee Joe Gordon, who was picked by the Veterans' Committee last month, will be inducted into the Hall of Fame this summer. Good news for Squawker Jon - Mo Vaughn got six Hall of Fame votes! What do you think about the Hall of Fame picks? Leave us a comment. As you probably remember, there was a lot of testiness between Alex Rodriguez and Mark Teixeira when they played in Texas together . . . and I don't think Alex really cares about communicating with other players, we know [that] from Derek Jeter. Rodriguez was traded to the Yankees that offseason, and told ESPN Magazine he never would have signed with Texas if someone had said, "'Alex, it's going to be you and 24 kids.' Never. For no amount of money." And Teixeira was openly offended by the comment, and said so in the media at the time. Teixeira is Scott Boras's ultimate client, and he's very well-programmed . . . The Red Sox didn't know it, and in the end there was nothing they could do about it. He wanted to go to the Yankees, his wife doesn't like Boston -- apparently she doesn't like the stores on Newbury Street or something -- and in the end that's the way it goes. I know Gammons is well-respected around the game, but he shouldn't be well-respected for comments like these. He previously compared Boras to Sirhan Sirhan's lawyer, which was over the top. And now he suggests that Teixeira is a robot, and that his wife is a vapid, shallow woman who chose New York over Boston because of the shopping. I'd like to hear the sourcing on that tidbit about how "apparently she doesn't like the stores on Newbury Street or something." It's a cheap shot, and Gammons should apologize for it. Do you think A-Rod and Mark Teixeira will get along? And what do you think of Peter Gammons? Leave us a comment! I'm concerned. The Yankees may have signed C.C. Sabathia, A.J. Burnett, and Mark Teixeira, but the Boston Red Sox have countered with some stellar moves of their own. After all, they signed former Yankee Nick (It's Not Easy Being) Green, which sent a dagger through the heart of Yankeeland. New Red Sox Rocco Baldelli may be perpetually injured, but his uncanny resemblance to Brian Cashman could confuse Yankee pitchers. Or maybe him being the first Boston player to wear No. 5 since Nomar Garciaparra will do the trick! “I think as an athlete that’s been somewhere for a long time, it’s always difficult emotionally when you don’t feel like you’re getting the respect you deserve from your team,” Glavine said. “When somebody else steps in and shows you the love, so to speak, you kind of get that feeling of ‘Why doesn’t my team that I’ve been with for so long show this same kind of appreciation?’"
Jon, I blame you for not showing Glavine enough love as a Met! Baldelli and Smoltz are not the only two injury-prone players Boston has gone after this year. They also picked up a not-so-shiny penny in Brad Penny, as well as signing Takashi Saito, who was also injured last season. What's up with the Sox taking a chance on all these injured players? It's like the Yankees went shopping at Neiman-Marcus, while the Red Sox visited the Island of Misfit Toys. I'm just disappointed that Boston didn't add Carl Pavano to their toy chest. What do you think of Boston's moves? Will they be competitive with the Yanks next year? Leave us a comment! Heads up: I will be squawking on Sound-Off With Sinkoff this Friday at 4:10 p.m. The show airs on Albany's ESPN 104.5 The Team. Click here to listen live to the show online. I'll be talking about Manny Ramirez, as well as the state of the Yankees. Cleveland rocks - with Carl Pavano & Eric Mangini! "I feel like we're getting him at the right time," Shapiro said. "He's very strong, in good shape now and extremely motivated. We thought he would benefit from a fresh start. It was a tough situation in New York and he was trying to justify the contract that he had." So Shapiro has to explain to Indian fans that Pavano is in good shape now and, unlike when he was in pinstripes, Pavano promises to be "extremely motivated." As for being in a "tough situation in New York," well, who created that tough situation? Pavano! Shapiro even guaranteed Pavano a sport in the rotation, though he did say it would be as long as Pavano was healthy following spring training. Good luck with that! At one point during the 1994 season, the Philadelphia Eagles were 7-2. But the Eagles collapsed down the stretch, losing their last seven games. and coach Rich Kotite was fired. While other organizations were not exactly lining up at Kotite's door, one owner, the Jets' Leon Hess, saw a chance to hire a coach with experience who had made the playoffs two years earlier. Jet fans know all too well how that turned out. At one point during the 2008 season, the Jets were 8-3. But they collapsed down the stretch, losing four of their last five (and should have lost the Buffalo game as well) and coach Eric Mangini was fired. While other organizations were not exactly lining up at Mangini's door, one owner, Cleveland's Randy Lerner, saw a chance to hire a coach with experience who had made the playoffs two years earlier. Time will tell if the Browns made the right move. After all, Pete Carroll, the young coach the Jets replaced with Kotite, has gone on to have a highly successful coaching career. And it was only a few months ago that the Jets couldn't wait to get rid of Chad Pennington. But as of now, I think the best ex-New Yorker Cleveland has acquired so far this offseason is the one player in the J.J. Putz trade I didn't want to see go - Joe Smith. What should Mark Teixeira's home run call be? Now that Mark Teixeira is officially a Yankee, it's time to figure out something important. 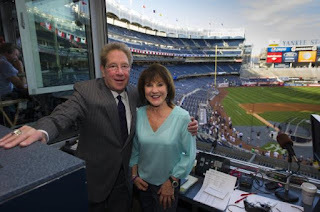 No, not where he should bat in the lineup, but what John Sterling's home run call should be for him! Look-a there-a - it's Mark Teixeira! That was no M.T. hit - he got all of it! Are these cringe-inducing? Of course. But let's bear in mind that Sterling is the person who came up with the "Robbie Cano, don'tcha know" and "You can bet on Betemit!" calls. ^ Swan, Lisa; John Lewin (July 29, 2008). Let's come up with a home run call for Xavier Nady", New York Daily News. Retrieved on 4 August 2008. Whoo-hoo! We made it into Wikipedia! True, they misspelled Squawker Jon's name, but still! Also, back in 2007, we made it into Deadspin when I tried to come up with Sterling's home run call for Shelley Duncan. Speaking of which, Duncan was designated for assignment yesterday. No word on whether Sterling will come up with a DFA call for him. What do you think? Do you have any home run calls of your own? Leave us a comment! Our biggest need was to improve our pitching, but to use a sailing term, we might have tacked a little bit off the game plan. When Cashman started using sailing terms, it occurred to me that the Yankees could have found a way to make yet another big-signing presser more interesting. They should have introduced Teixeira on a yacht. Put everyone in tuxedoes. Don't just talk about the carving board - show it, along with caviar and lobster. I'd rather see the Yankees embrace being the big-money team, as it sounds like they will be doing with the new stadium, than have Cashman pretend they are no different than other teams. After the presser, Cashman went so far as to say that the Yankees, just like everyone else, were cutting payroll, and were now down about 15 or 20 million dollars from last year. First of all, considering what last year's payroll was, this is like doctors congratulating a morbidly obese man because he's gone from 700 pounds all the way down to 600. Then again, maybe it isn't, because the obese man will continue to try to lose weight, while the Yankees already have a $10M offer out to Andy Pettitte, and if that doesn't work out, who will be surprised if that sort of money or more goes to a different free agent. So the Yankees are likely to end up with the same payroll as last year. Or more - I seem to remember Cashman boasting about keeping the payroll down in 2007 when the season began before dropping $20 million on part-timer Roger Clemens. My favorite thing Cashman did was when he momentarily forgot to introduce Joe Girardi and went straight to Teixeira. I wonder how long Girardi gets if the Yankees don't get off to a good start with their star-studded team. As for Teixeira, it does look like he really wanted to be a Yankee. At least we didn't hear about any opt-out clauses in his contract. As for the Mets, I hope there is some good news to report on them soon. As long as the Yankees don't have Pettitte in the fold, I fear they jump to the head of the line for the likes of Derek Lowe and Oliver Perez. It will be bad enough if the Mets end up getting shut out on both Lowe and Perez. But then they at least should be able to spend money to spend on a corner outfielder, as long as they don't wait too long and see all of the good outfielders disappear as well. If the Mets end up filling their holes with the likes of Randy Wolf and Cliff Floyd, maybe they should hold that news conference on Lisa's Staten Island Ferry. * I thought Mark was confident with the press, but seemed sincere, and not slick. He came off as a very likeable guy. * Mark said something about having decided weeks before to be a Yankee. So it sounds like he did toy with the Red Sox after all. Gotta love it! * When the microphone went crazy when Brian Cashman was talking, I half-expected a reaction shot of Scott Boras saying "sign Manny or else" to Cash. * Mark said more than once that signing with the Yankees was a "no-brainer," to which I could imagine Yankee-haters' reaction of "no kidding" to that one! * Hal Steinbrenner looks like his father, but with Tucker Carlson's hair. * Boras looks like Tom DeLay. * And Teixeira? Who does he look like? It's on the tip of my tongue, but I can't think of who it is. * I guess No. 25 won't be retired for Jason Giambi, after all! * Besides being a great hitter, and the best glove the Yanks have had at first since Tino Martinez, Teixeira seems like he will fit in well with the Yankee way. * Loved hearing Teixeira gush wearing a Yankee cap and rooting for Don Mattingly while Teix was growing up in Baltimore. How many days is it until pitchers and catchers? I can't wait! What did you think of the Mark Teixeira press conference? Leave us a comment! Yikes! While we wait for the big Mark Teixeira press conference today, there is other news out of Yankeeland, and it's not good for Andy Pettitte fans. According to Tyler Kepner of the New York Times, Pettitte is saying no to the Yankees' $10 million, one-year offer. Even though the Yankees went on a shopping spree for the ages this winter, they apparently are treating Andy Pettitte like something they found at the dollar store. Then again, Pettitte was all "I want to be a Yankee for life no matter what," so he shouldn't be surprised that they are trying to nickel and dime him. Should Pettitte have to get a pay cut from his $16 million salary from last year? Absolutely, given his lousy second half - not to mention the Mitchell Report. But it makes no sense for the Yanks not to budge on the $10 million offer. While Brian Cashman did fly down to Houston to talk to Andy, one would hope he would dig through the Yankee couch cushions and dig up another million or two for Pettitte. If the Yanks do offer Andy, say, $12 million, and he still turns it down, then shame on him. But given that they are paying A.J. Burnett $16.5 million a year, I don't think it's unreasonable for Pettitte to want the Yanks to upgrade their offer a little. It's funny - Pettitte was front and center with all the Yankee Stadium closing ceremony stuff, with all the other "four rings" teammates. Yet the Yanks appear to be thisclose to cutting ties with him for the second time in five years. Unreal. What do you think about Andy Pettitte? Leave us a comment. The deadline for entering our Subway Squawkers DVD giveaway is just a few hours away - noon today, to be exact - so get your entries ready. Click here for details on how you can win a copy of the short film "Gandhi at the Bat," a mock newsreel about the little-known (and totally fictional) incident when Mahatma Gandhi pinch hit for the Yankees in 1933. Nobody thought that Mark Teixeira would be a Yankee until it happened. Could Brian Cashman's next stealth signing be Oliver Perez? I certainly hope not, but Kevin Kernan makes the case that the Yankees are better off with Perez than with Andy Pettitte. Kernan's recommendation of Perez to the Yanks comes alongside his recommendation that the Mets ante up for Derek Lowe. Unfortunately, we know how this situation is likely to play out. The Mets will be outbid for Lowe (worst-case scenario - the Phillies) while the Yankees will swoop in and take the only other good free-agent starter on the market. I am probably in the minority of Met fans in that I want Perez as much or more than Lowe. Perez is 27, a lefty, has shown he can pitch well in New York and has enormous upside. And these were exactly the reasons I figured the Yankees would jump on him once Perez became a free agent. So far, though, nobody has shown much interest in Perez. Presumably, teams are waiting for Boras to lower the price. And maybe, just like with Teixeira, the first time the Yankees will publicly show interest is when they announce they have signed Perez. Derek Lowe has also shown he can pitch in big games in big markets, and he's had a chance to pitch in bigger games than Ollie has. And while there's a Good Ollie and a Bad Ollie, there's no such split with Lowe (just the occasional Derek Lowe face). If I had to choose between Lowe or Perez in a big game, I would have to go with Lowe. But as long as we are talking upside, I think Perez is worth the same sort of offer the Mets have given Lowe. Neither may be enough for a Boras client, but the Mets should at least try. Pretty good for the guy nobody seems to want. Here's my biggest nightmare: The Phillies (or Braves) sign Lowe. Then, when attention turns to Perez, the Yankees swoop in. Desperate to make a splash, Omar Minaya signs the pitcher the Yankees didn't want - Andy Pettitte. And the Mets find out why the Yankees didn't want him. Do you want Oliver Perez back on the Mets? Tell us what you think.